If you built your website using Weebly and you want to use your GoDaddy domain name with it, you'll need to connect your domain to your website. 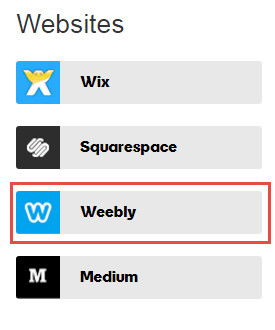 Note: You do NOT need to transfer your domain in order to use it with Weebly. It's easier to simply connect your domain, as you'll avoid the complications and wait time it can take to make a transfer. Click the Connect Domain button. Follow the steps that appear on-screen to connect your domain to Weebly. We'll walk you through the process and do all the heavy lifting for you. If you need further assistance, see Weebly's guide to connecting a GoDaddy domain to your site.